As promised, I’m sharing another photo from last year’s visit to Iceland. On one of the outings we stopped for lunch in Vík í Mýrdal; rather than hang around the mall, R and I bought something to go, walked down to the beach, and ate our lunch there, with the wild Atlantic for a backdrop. Conveniently, we found a wooden picnic table there, which made the process a bit more civilised. The beach itself is utterly rugged. 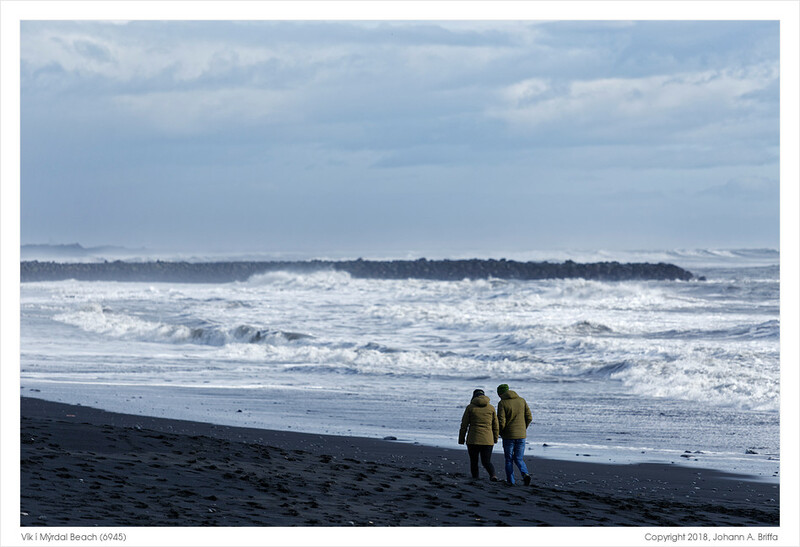 From the black volcanic sand to the roaring waves and the otherworldly sea stacks, it all feels so alien. We explored a short stretch, walking along the coastline and soaking in the atmosphere. The photo I’m sharing today is a snippet that gives some sense of the place. One can immediately see the scale of the waves, and I must add that this wasn’t a stormy day. It was actually rather good weather! The darkness of the sand is not an after-effect. On the contrary, I actually needed to lift the shadows a bit for some texture to be visible.